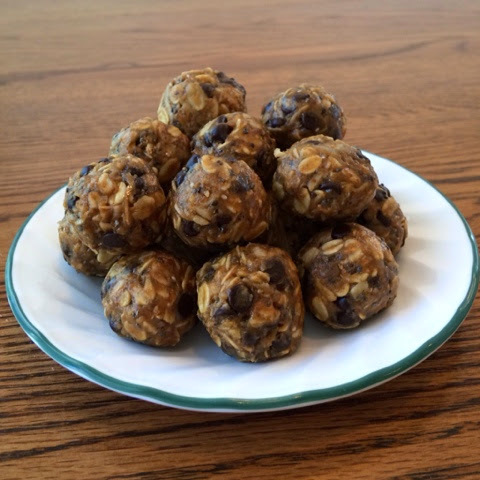 These little no bake energy balls are all the rage right now! I have seen people eating them at soccer games and out and about, and I have seen tons of posts with recipes for these bite-sized snack. 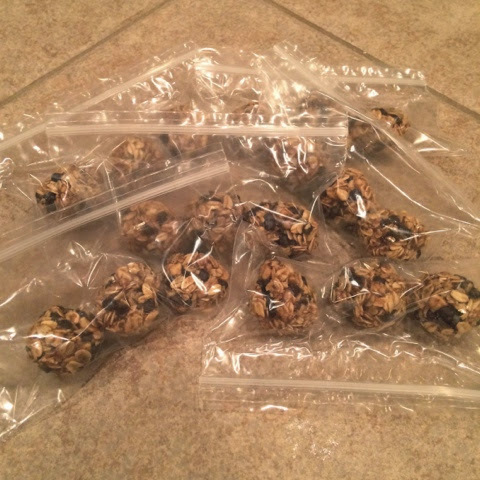 One of my favorite bloggers, Making it Milk-Free, posted a recipe for Chocolate Chip Cookie Dough Bites today, and it inspired me to piece together a recipe that would work for our family. Here's the ingredients I used, but you could really use any spices or add-ins you like. I've seen some with added raisins or craisins, nuts, sunflower seeds, even crushed cereal. I used almond butter, but you could use any kind of spread you prefer, including peanut butter, soy butter, sunflower seed butter, etc. 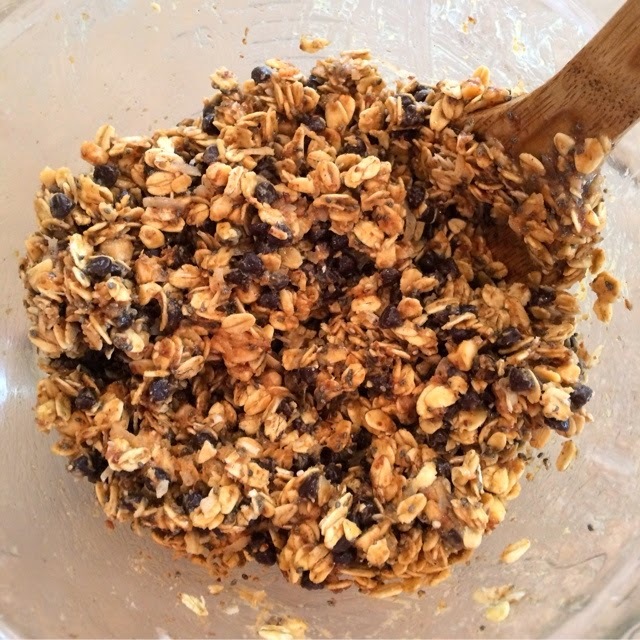 Simply mix it all together, roll into bite-sized balls, and chill for 30 min on a parchment paper-lined baking sheet. I found it difficult to roll the balls initially, so I chilled the dough for a bit first. The mixture was still a bit sticky, so keeping my hands wet with a bit of water was helpful. Store in an airtight container and keep refrigerated. I also packed some in baggies and stashed them in the freezer for later. I'll be happy I stuck these in the freezer later!